Telstra and Ericsson completed the first call using LTE-Advanced (LTE-A) Carrier Aggregation technology on 1800MHz and 900MHz spectrum bands. 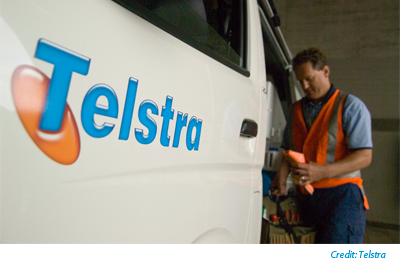 The test took place on July 31, when Telstra transferred data across its live network on a number of sites in Queensland (Australia) carrying commercial traffic. Ericsson noted that it is supporting the deployment of LTE-Advanced Carrier Aggregation on other spectrum bands in other countries such as South Korea. On July 18, for instance, Ericsson supported LG U+ in South Korea to commercially launch LTE-Advanced using both 2100MHz and 850MHz bands. 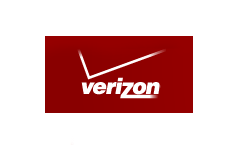 Verizon has successfully completed a field trial of 200G technology on a network route between New York and Boston. "Verizon continues to lead the industry in next-generation technology research and take our network to the next level to meet future needs of our business and consumer customers," said Ed Chan, vice president of network technology for Verizon. "This accomplishment is a key technology differentiator and lays the groundwork for Verizon to continue to deliver capacity relief in a robust and scalable way." "Proving greater spectral efficiency and a lower cost per bit, this trial illustrates the ability to double the traffic carrying capacity of optical channels with no change to the underlying infrastructure," said Francois Locoh-Donou, senior vice president, Global Products Group, Ciena. "And the fact that this field trial was successfully conducted on a critical route of Verizon's production network alongside live customer traffic demonstrates Ciena's commitment to delivering innovative, real-world solutions that allow customers to extract additional value from existing infrastructure investments." The Open Networking User Group (ONUG), will conduct an open industry SDN network virtualization test to provide its members with comparative performance, scalability, reliability, and functionality test data. Results of the testing will be shared at ONUG Fall 2013, which will be hosted by JPMorgan Chase on October 29-30, 2013 in New York City. Specifically, ONUG is planning three performance tests and one functionality test. The performance tests seek to measure scale, reliability and CPU utilization under load. Three separate tests are defined for data, control and management plane functions. The functionality evaluation is a checklist that verifies a basic set of network virtualization features. Vendor participation in the ONUG SDN network virtualization test is free and can accommodate 10 vendors. Testing will be conducted September 30 through October 12, 2013 and vendors have until August 30, 2013 to sign-up for participation. Amazon Web Services introduced two new capabilities for its CloudFormation toolset for creating and managing a collection of related AWS resources in an orderly and predictable fashion. AWS CloudFormation provides sample templates that describe the AWS resources, and any associated dependencies or runtime parameters, required to run an application. The two new capabilities are parallel stack processing and nested stack updates. Parallel Stack Processing -- CloudFormation now creates, updates, and deletes resources in parallel in order to improve performance of these operations. For example, provisioning a RAID 0 setup, which involves the creation of multiple EBS volumes, is now faster because CloudFormation can provision the volumes in parallel. CloudFormation automatically determines which resources in a template can be created in parallel. CloudFormation template authors can use the DependsOn attribute for control over the order of resource creation. Parallel Stack Updates -- CloudFormation allows nesting a stack as a resource inside a template. AWS is introducing the ability to update a top-level stack and nested stacks together. MCNC, the private, not-for-profit operator of the North Carolina Research and Education Network (NCREN), officially completed the second and final phase of the $144 million Golden LEAF Rural Broadband Initiative (GLRBI). The Golden LEAF project deployed fiber connections at universities, community colleges, schools, health and safety facilities, libraries, county offices, and other community anchor institutions to a statewide network. NCREN now spans 2,600 miles across the state. The first phase of the project was completed in April 2012 with 957 total operated miles (442 of which were new construction). The second phase completed today was much larger with total operated miles at 1,696 (1,300 of being new). MCNC said this historic project is having a positive impact on student learning, patient outcomes in health care, and is accelerating innovation and research all across the state. Community institutions now being served in the state include K-12 schools, universities, community colleges, health care facilities, public health facilities, libraries, research institutions, and other sectors. The GLRBI is funded through grants from the U.S. Department of Commerce's National Telecommunications and Information Administration's (NTIA) Broadband Technology Opportunities Program (BTOP) and significant matching funds from private donations and investments including a $24 million investment from the Golden LEAF Foundation and $10 million from the MCNC Endowment. No state funds were utilized as matching funds for the MCNC awards. Vendors and contractors for Round 1 included: Fiber Technologies, Globe Communications, Comtech, Cisco Systems, CommScope, and ONUG Communications. Participating vendors and contractors for Round 2 included: BroadPlex, Cisco Systems, CommScope, Comtech, ECC Technologies, Edwards Telecommunications, Fiber Technologies, Globe Communications, Kimley-Horn & Associates, and World Fiber Technologies. Level 3 Communications successfully completed the refinancing of its senior secured Tranche B 2019 Term Loan. The $815 million Tranche B-III 2019 Term Loan will bear interest at LIBOR plus 3.00 percent, with a minimum LIBOR of 1.00 percent, and will mature on Aug. 1, 2019. The term loan is being priced to lenders at par. The previous Tranche B 2019 Term Loan had an interest rate of LIBOR plus 3.75 percent, with a minimum LIBOR of 1.50 percent and matured on Aug. 1, 2019. With the reduction in interest rates as a result of this transaction, the company expects to save approximately $10 million of cash interest expense on an annualized basis. 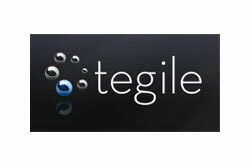 Tegile Systems, a start-up based in Newark, California, closed $35 million in Round C funding for its hybrid storage systems. Tegile offers enterprise storage arrays that leverage the performance of SSD and low cost per TB of high capacity disk drives to deliver up to seven times the performance and require up to 75 percent less capacity than legacy arrays. Tegile's patented MASS technology accelerates the Zebi's performance and enables on-the-fly de-duplication and compression of data so each Zebi has a usable capacity far greater than its raw capacity. Tegile said it currently has more than 300 production customers utilizing its Zebi hybrid storage arrays. The new funding was led by late-stage venture firm Meritech Capital Partners with additional investment by original stakeholder August Capital and strategic partners Western Digital and SanDisk. tw telecom inc. (NASDAQ: TWTC) has priced an $800 million offering of Senior Notes, including $450 million aggregate principal amount of 5.375% Senior Notes due 2022 and $350 million in aggregate principal amount of 6.375% Senior Notes due 2023, in a private offering to "qualified institutional buyers". The company plans to use the net proceeds from the offering to fund the repurchase of tw telecom holdings inc.'s 8% Senior Notes due 2018 in a concurrent cash tender offer and for general corporate purposes. PT Telekomunikasi Indonesia has awarded a contract to NEC to construct the Papua Cable System reaching the island of New Guinea. The Papua Cable System, measuring 2,000 kilometers, is the first optical fiber submarine cable system to connect the Papua provinces of Indonesia and is designed to carry transmission speeds of 40 Gbps and 100 Gbps. The cable is slated for completion by the end of 2014. "NEC is honored to be selected by PT Telkom as the supplier of the most advanced optical fiber submarine cable system to connect the eastern Indonesian provinces. We are proud that NEC has contributed to PT Telkom's network diversification since first providing the company with an optical fiber submarine cable system in 1991," said Naoki Yoshida, general manager, Submarine Network Division, NEC Corporation.